Doctor Ron is a ukulele enthusiast and in charge of the American Asperger’s Association. 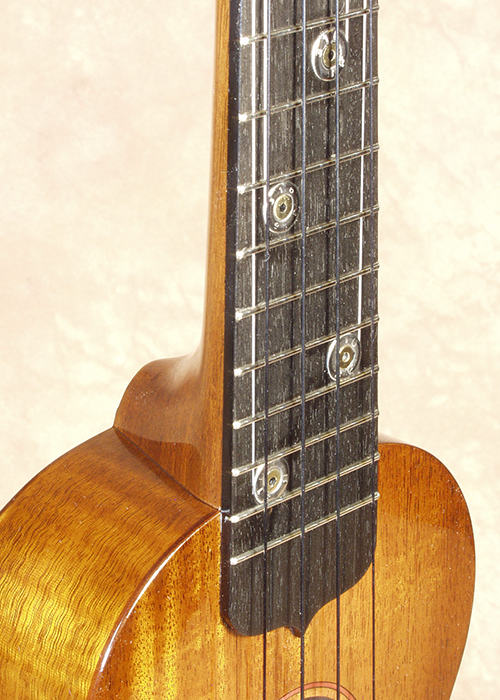 As a fundraiser he gathered some of the best ukulele players together into a compilation CD entitled ‘Square Pegs and Round Holes” released in 2009. 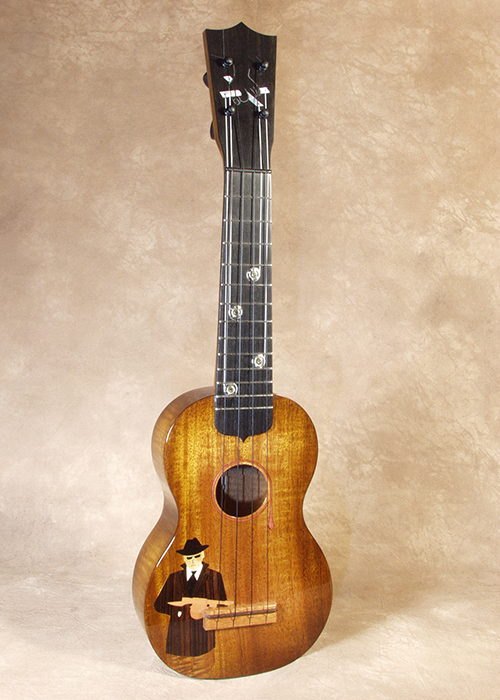 Dr. Ron also had the brilliant idea to have a selection of top ukulele builders create a series of Tony Soprano Ukuleles. I had the honor of being invited to create my version of this idea. 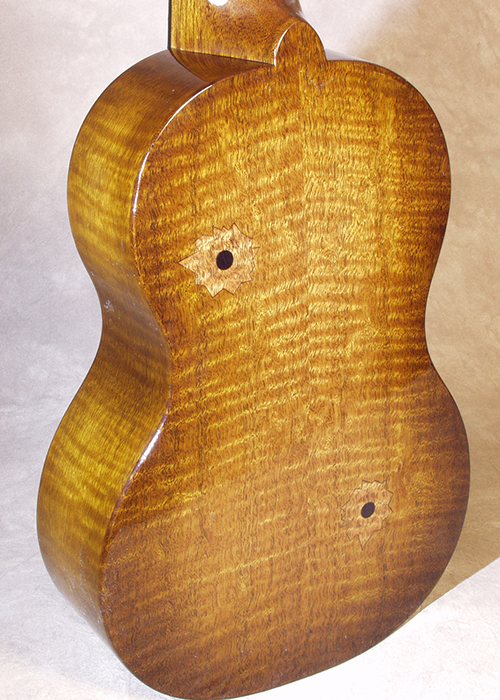 I am proud to join the ranks of the other fine builders who also have created their own versions of a Tony Soprano ukulele. Tony Graziano, Joel Eckhaus, Augi LoPrinzi, Kevin Crossett, Dave Talsma and Andy Powers. 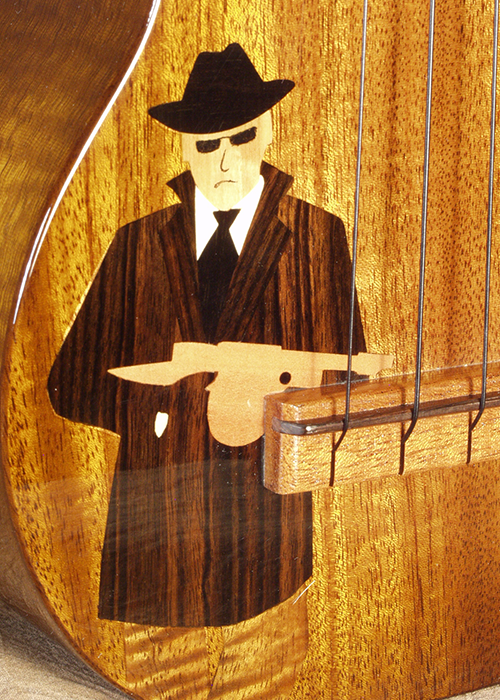 This one that I built was inspired by ‘the Godfather’ and great American gangsters. The machine gun man on the soundboard is a wood inlay, the marionette cross on the peghead is mother of pearl and the hand is sterling silver. 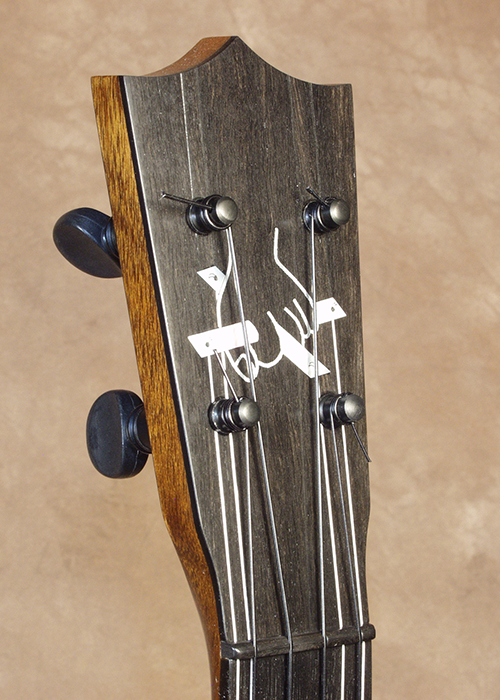 The bullet fretmarkers are faked with stainless washers and a brass plug.